Yesterday on the Grymvald corner of the CMG Blog Triad, I briefly discussed Robby the Robot and what might be the quintessential robot ever in either Science Fiction or the real world. 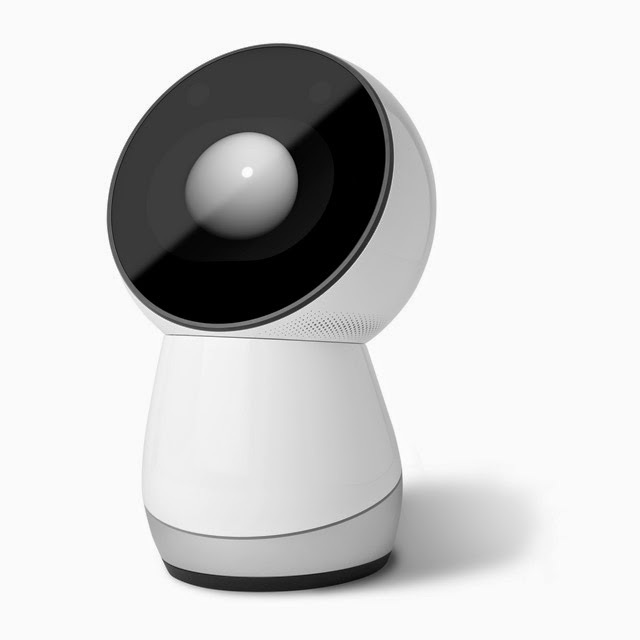 During my surfing on robots I discovered there was a real world robot in the works called Jibo. Dr. Cynthia Breazeal of the Monsoon Company is billing Jibo as "The World's First Family Robot." Over on the IndieGoGo site, the project to bring this robot to he public has garnered over $900K of their initial $100K funding goal and still has over three weeks to go. Jibo is essentially a voice-activated Internet station, a teaching tool, a hands-free verbal assistant, and a camera operator with a near-360-degree-sphere of view from its stationary location. I don't doubt there will be side-projects to mobilize this little wonder since the sourcecode is being opened up and Application development is being encouraged by the originators who hope a thriving community latches onto their enthusiasm. I'm guessing early adopters will be quick to prompt all sorts of uses for this robot that have yet to be imagined.